At Dave Martin Insurance Agency, we take protecting your income seriously! 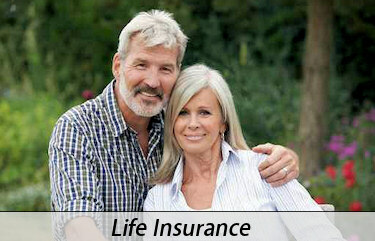 We offer a variety of life insurance products and options to fit anyone's budget. Our term plans include options from 10 to 30 year level term, universal life, indexed life and whole life. We can assist you in protecting your income from accidents and or sickness with policies offered from anyone of our 8 plus providers. Again, we customize our protection to your situation. Retirement is a time of change in your life and we take it seriously. We offer a variety of products that can assist in replacing your income. Also, we can protect your retirement from a disability during your retirement years by using a Long Term Care Insurance plan from one of our 6 carriers. We can perform a complimentary needs analysis for your income replacement needs or your retirement planning needs if you are not sure what is the first step in the process. It is your financial future so we want you to understand your options. You get your car checked every 3 months. Our philosophy is to come in and see us to make sure your income is working for you as efficiently as possible. Remember, it is not what you make, but what you keep!